Welcome to Garage Door Repair Crosby, where we are considered to be the Garage Door Springs Specialists in the region. Our professional staff and crew have a deep knowledge of spring repair and garage door springs. If you need a garage door company you can trust to fix the springs, then we will be your best choice. Our company can offer you everything from broken spring repair to broken spring replacement service. Furthermore, we offer an excellent emergency spring repair service 24/7 and same day springs service to all of our customers. Our garage door repair service is affordable and extremely effective. There's no catch with our company! We are simply as perfect as it can get! We made a commitment long time ago and to this day we honor every promise we make to clients. Our company is an experienced residential garage door service provider and has much to offer. From the installation of a new roll up garage door to the replacement of springs, the troubleshooting of electric openers and the maintenance of the overhead door, we excel in every service. We offer same day service and have the equipment to back-up our work. Everyone can count on us for our professionalism and tremendous abilities. Most people ignore the existence of the springs until they are broken and need to be repaired. We provide the most outstanding spring service in Crosby because our staff and crew put their hearts into each and every project while they are available to our clients 24/7. Springs should not be installed, replaced or repaired by anyone other than a professional. They can be dangerous because they need to be wound tightly to specific garage door requirements that are determined by the weight and size of the door. Our team can provide service on the torsion spring, which is generally used on heavy doors. We can also work on extension springs that are used on lighter weight doors. The torsion spring is mounted directly above the garage door. The extension springs come in pairs and are installed to the left and right center of the door. The mission of the springs is the same; balance the garage door as it is being raised or lowered. We can offer you solutions for any spring problems that might arise. 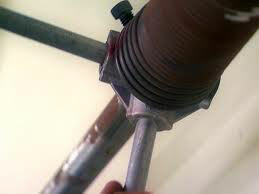 We, at Garage Door Springs Crosby, specialize on broken springs repair. Our techs keep their work trucks stocked with all the repair parts needed for springs repair. When someone calls us with spring problems, our trucks are sent out immediately to solve the problem. Our techs will do all within their power to fix the springs quickly and efficiently. Springs are going to get broken and when they do we encourage the residents of Crosby to give us a call right away so that we can safely address their problem at once. If you need someone trustworthy and dependable to replace torsion spring or extension springs, all you have to do is call our Broken Spring Replacement Service in Crosby. Our highly trained crew will rush to your rescue. We primarily aim to repair the damage, but if this is impossible, we just replace them.